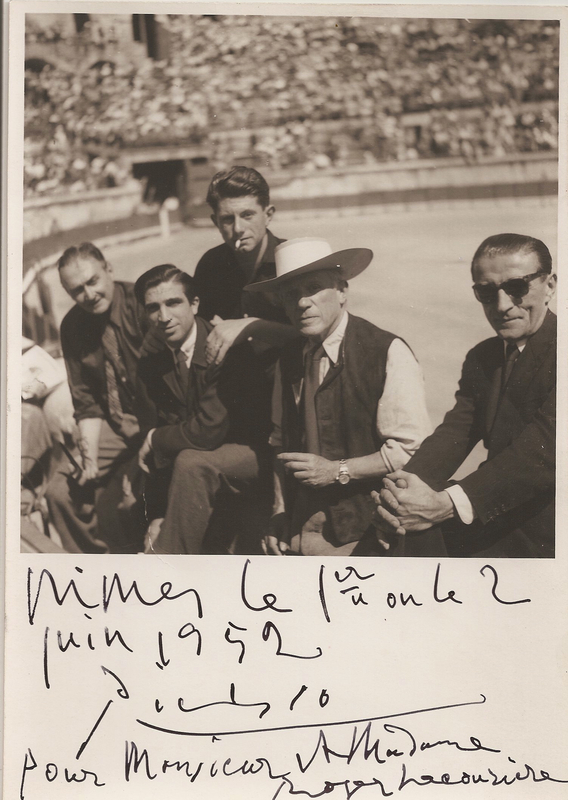 Pablo Picasso & Jacqueline Roque – Picasso, Roque & Edouard Pignon sign this postcard to Roger Lacourière. A nice historical document /snapshot from his time after 1953. The postcard shows the Chateau de Vauvenargue which Picasso bought in 1958 (sources: www.museepicassoparis.com) after he discovered it in the foothills of Mont Sainte-Victoire, the mountain immortalised in countless paintings by Paul Cézanne, the man Picasso regarded as his artistic father. On april 10th 1973 Picasso was buried in the garden of this Chateau. It is an excellent letter from the time in Varengeville (Miro stayed there from 1938 until latest july 1940 and went to Palma due to german invasion in France). 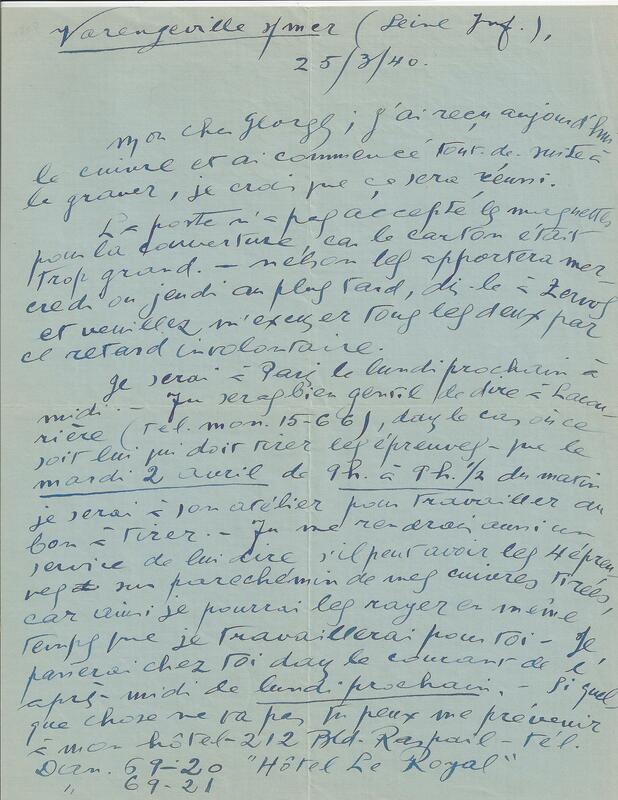 I am very sure that this letter is exactly describing the circumstances concerning the production of those prints: Miro mentions, that he received the copper plates and started to engrave. He mentions „Zervos“ and „Lacourière“ where he hopes to be working soon. There are many portraits of Picasso existing as he loved to be photographed. In 1957, Roland Penrose wrote „that the life of Picasso, both private and public, has been the most fascinating of all artist in our time“. I truly believe, this did not change after more than 50 years. The photograph shown here is a small and very different insights in Picasso´s life. I want to add as well the book, where the photo has been published. I bought this book a bit later at an antiquarian book dealer because I think it adds to the collection or history of the piece.